The Gina K Designs illustrators are hopping today to share some fun ways to combine the new release stamp sets. Hope you will join us as we Mix and Match! I used the clear pillow box (SRM Stickers) to make the camera part. 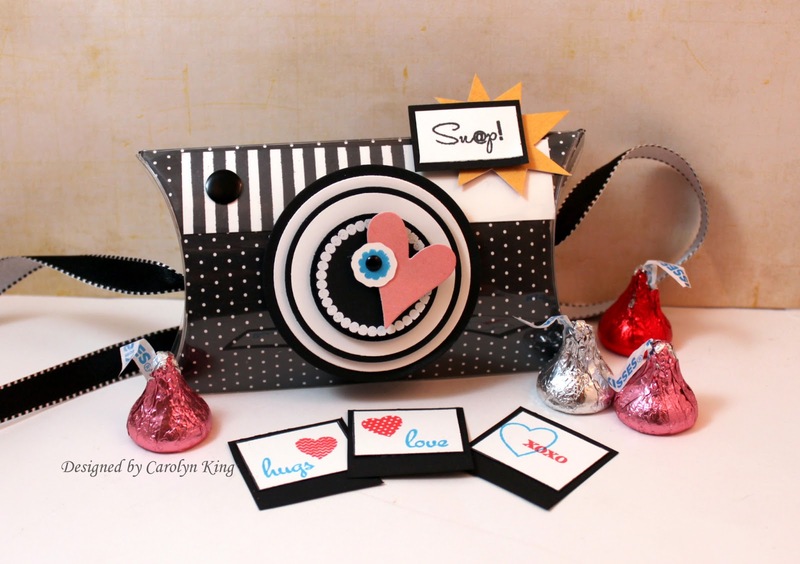 I filled the camera with Hershey's kisses and the little stamped Polaroids to add some fun notes inside. 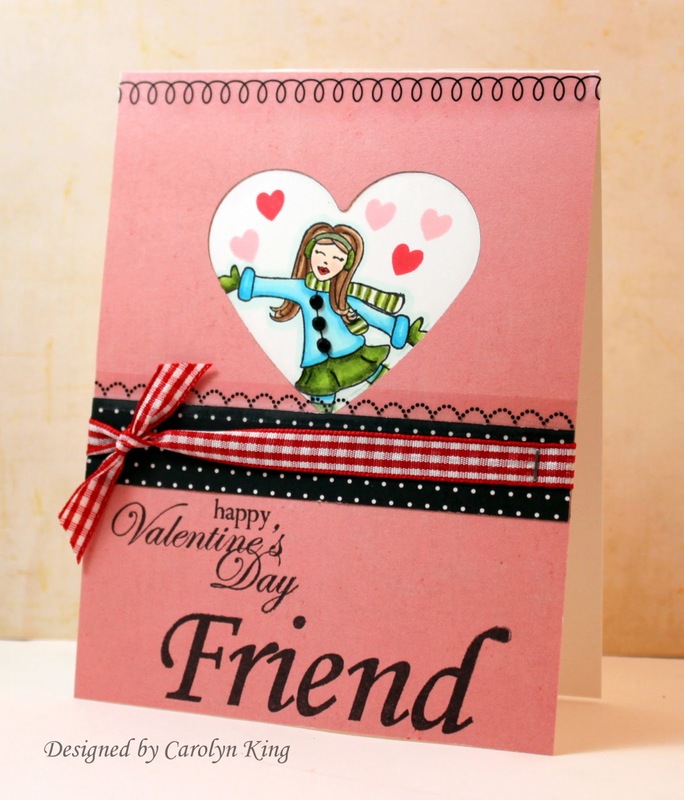 I wanted to show the Skater Diva in a different way so I stamped her behind the punched heart and it looks like she is just ready to give a hug to her friend! The Red Hot Gingham ribbon is from the Gina K Designs Color Companion Collection. I stamped the group of flowers from Stately Flowers 6 and cut out the one flower on the edge. I did this again and cut out the flower and two of the leaves so I could stack them up and add some dimension. 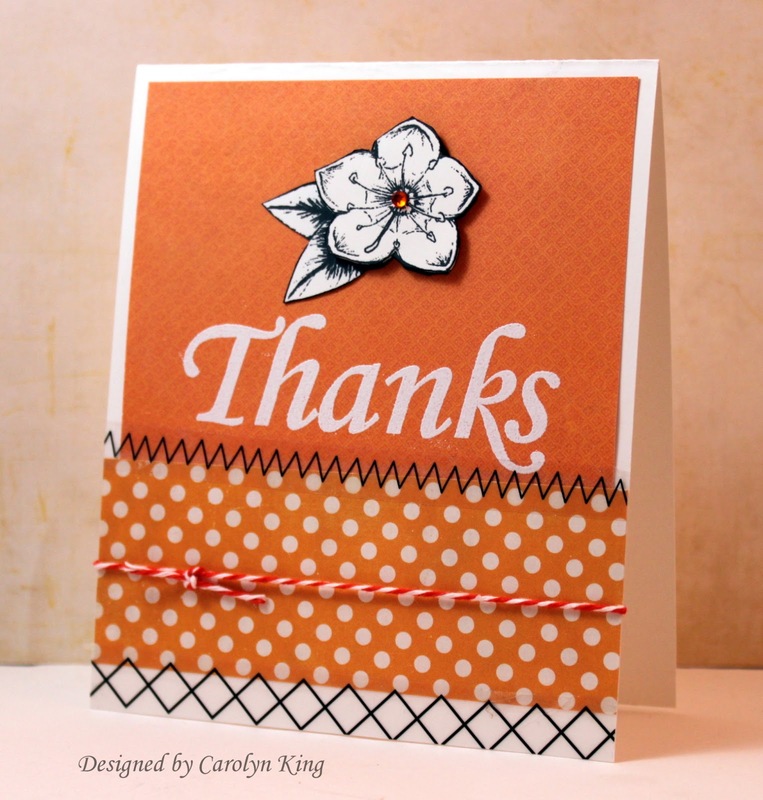 I embossed the large "Thanks" sentiment from Stamp it Big to finish off the simple design. Just a fun, bold birthday greeting. I cut out the bird using the cut file and then stamped the bird in black to have a bold image to break up all the color. I used Ocean Mist Gina K Ink to stamp the sentiment (love this color!) and tied a little bow using the Ocean Mist Organza from the new color companions collection. I used Lots of Letters to spell out the sentiment. OMGosh, these are all amazing! I had that same pac man idea, but you executed it so much better than I ever could have. Dang, you're good! OK, I promise I saw Pac-Man in this stamp too and thought about having him gobble up some bling but thought maybe no one else would see it! of course, you did, too! (oh, and Theresa!) hee! These are all amazing! the camera? oh Snap!! all such awesome designs, love how the flower is popping on that orange and the little pennant banner for the birdie! OMG! 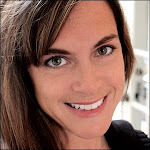 You are such a rockstar Cammie! I love every single one of these...and PAC MAN! HOLY SMOKES! LOVE! wow, so many fabulous cards! Great combos! Love the Pac Man! Fabulous cards! i love the skating diva and how you showed her! Thanks for sharing your amazing ideas! Great ways to combine sets--love the camera treat container. WOW! Great cards and treat container! I LOVE the pac man card! wow lots of great ideas here, thanks for sharing! ha! LOVE the pac-man! Too stinking cute! LOL! And all of these designs are so awesome Cammie! I really love your 'camera' you made! All of these are simply ADORABLE! They're all awesome but that pac-man might just be my favorite!!! Wow. What a fantastic mix of cards and projects. That camera is so unique. And, I will have to try that PACMAN card. My son was a MS PACMAN fanatic in his day. What great cards! I like the mix of three different stamp sets on your first project. Like the camera idea. Oh my goodness, I can't decide which one I like best! But the pac man card is definitely the one that got me! What an idea! Simply ingenious! Such unique ideas! My favorite is the pillowbox Polaroid. That really set off some wonderful memories. Where does one start with all of these fantastic card ideas. I'm "bowled over"! 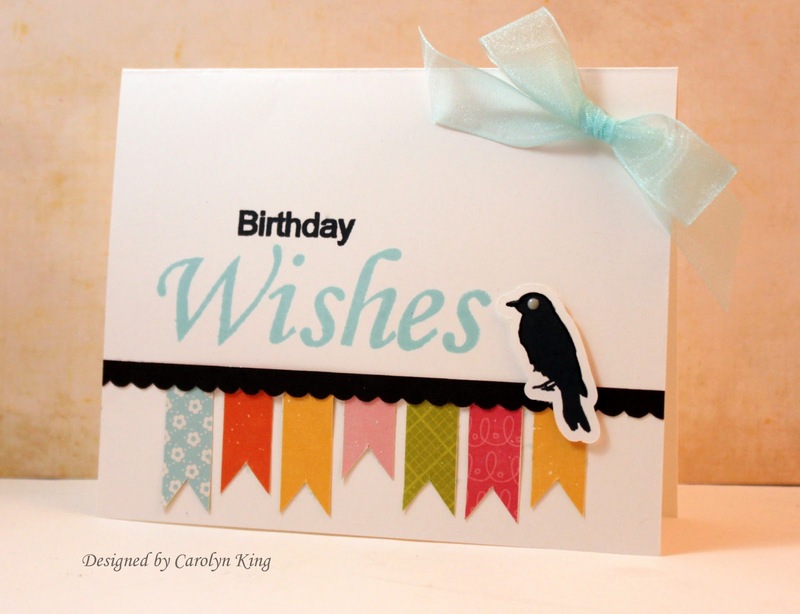 Each one of your cards just stirs inspiration! I love the way you have made the skater look like she is offering a hug! Love how you used the pillow box for the camera! What a great idea! All such great cards, it's hard to pick a favorite, but the PAC man really stole my heart. Wow, these are all so stinkin' cute & clever! Love the camera! You are amazing girl! What a great idea with the camera, Cammie. All your cards are so much fun, too. Each design better than the one before! Love the Pac-Man - that is so cute. And how clever to create the camera treat box! OOOOOOOOOOOO my, OOOOOOOOOOOOOO my! I liiiiiike allllll of your cards but THAT camera is a WOWZER! ! I could not believe all I was seeing. I had to read your recipe and study the camera some more. GREAAAAAAAT job. TFS!!!! Oh, my! What fabulous works of art. I love them all, and I remember when my kids were Pac Man fans too. I even had to make a birthday cake like him one year. That was an easy cake to make, but the kids were thrilled. Wow, love the great assortment. Really liking the Stamp it big set. Your PAC man card cracked me right up! Du warst aber fleißig!!! Eine tolle Idee, die Box als Kamera zu gestalten. Und Deine Karten sind richtig liebevoll gemacht. Auch die Farben harmonieren super. Your cards are really cute. So whimsical. Cute way to use the skating diva. I think those stamps are so cute. Love Pac-Man. Great cards. I am loving ALL your examples! Your Pac-Man card is hilarious. Love your camera design, too. I loved all your sample cards, but my favorite is the one using "Birds and Blossoms" and "Stamp it Big". You totally rocked this challenge, I love the pacman card, so cute, but the pillow box camera? I am pinning that one, genius! Hello! I've been reading your site for a long time now and finally got the courage to go ahead and give you a shout out from Houston Tx! Just wanted to say keep up the excellent work! Wow! I love your cards, and that camera is so fun! Thanks for sharing! Lots of fantastic designs. Love the camera idea. Carolyn, your artistry amazes me. Thanks for giving us soooo many projects today. So clever using the lady bug for Pac man. Wow, you really outdid yourself with lots of great combos here. Is that stitched washi tape? I have been wanting to try using my sewing machine but have never done it with paper, love the look though. You have been very busy! Love the camera treat holder and your cards were awesome. Thanks for sharing. Very cute cards, loved the camera treat card. Cammie, you are SO creative. I just love the camera pillowbox. The PacMan is great! Awesome projects! Cammie!! Your cards are AMAZING!!!! I love them all!! 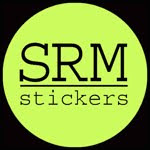 I will be joining your blog !!!! Wow! I'm inspired, so many fun and pretty cards! As I kept scrolling down from one card to the other it just kept getting better and better and then I hit the pac-man card. OMG! how clever! Wowzer! Awesome cards. ots of great inspiration. Love the way you've combined the various sets. The way you used the skater diva is really cute. Great cards and love Pac Man. Amazing, lots to chose. I think my favourite is the little chocolate box at the beginning. OMG,these cards are all amazing! I thought of the PacMan thing, too, when I saw that set, but your execution of it is flawless, and FABULOUS! I love all the cards, but that one really made me smile! Goodness gracious!! How do you ever sleep with such a creative brain? It must go a mile a minute. Fabulous cards you shared with us today!! Thanks for all the idea! You have such a creative mind. Congrats! As always, so good and so cute. Over the top! The camera is really a cute idea but my favorite is the girl in the heart--she looks like she's going to jump off the page. Very nice projects, really love the camera pillow treat box. Wow! These projects are stunning. Great combinations of stamps and colours. Would love to win. These cards are fun looking. Wow you go girl! These are really adorable and I agree, it does look like the skater girl is ready to give a big hug. 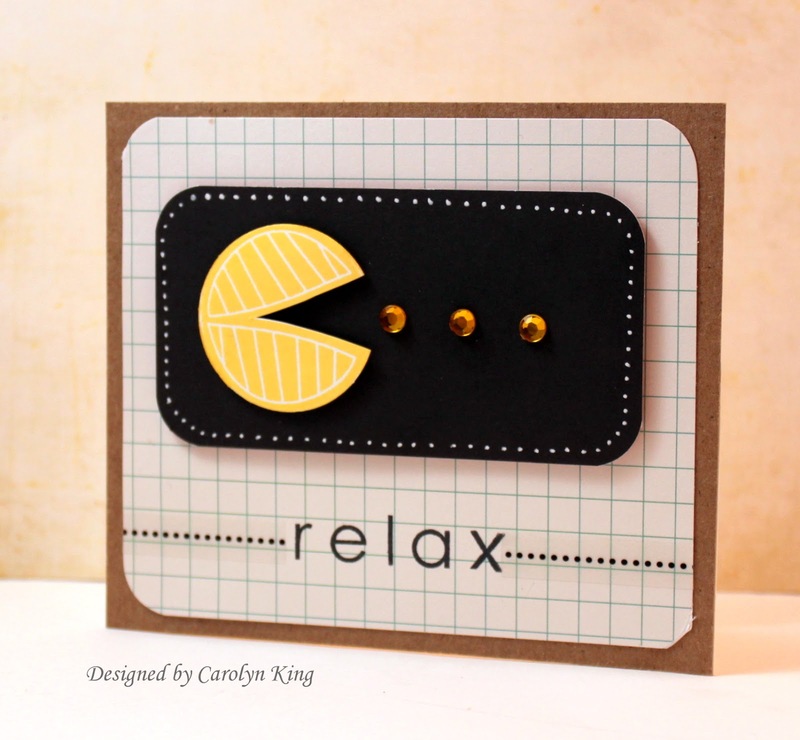 Ok, the Pac Man card is brilliant! And your little camera gift box is very creative. You were on quite a roll!! So very clever and I love the clean and simple card too! Gee, where do I start. They are all absolutely wonderful. Love all of them. My favorite is probably the camera treat holder. Thanks for sharing. Lovely cards! Live the Pac man! You did such a great work with the stamps! I'd like to be able to do something similar. You ROCKED These sets! Perfection! I seriously love every single one of these projects! My gosh...you didn't have any trouble Mixing & matching...Your cards & colrs are just ADORABLE! Really fun and beautiful cards. Super cute cards! Love all of them! Great ideas and stamp combinations. Love the pac man card!!! What a royal mix of creations!!! Love your flash on the camera! And who doesn't know Pac Man? He's international!!! Love the way you used so many sets together!! I love the camera treat container - cant wait to try it. Pac man card rules! Just saying. Such a creative use for a stamp not intended to be used that way! AWESOME! Love your camera, it is a really good idea. And the pac man is so cute. Oh my goodness! What clever, cute ideas! Love 'em all! Love all your different designs, and I especially love how you used the Skater Diva as more of a girl with a hug, than an ice skater. I like how it can be versatile like that. great cards, well showcased stamps!!! Oh my gosh Cammie, you have outdone yourself. I love every one of your cards, thanks for all the inspiration!! Beautiful cards! I just received the Stamp It Big set in the mail today, and can't wait to play with it. Hi Really neat cards Thanks for the cool ideas. I love every one of your samples. What great ideas of using the pillow box for the camera and the lady bug for a pac man. You really rock at seeing possibilities in various images. Thanks for sharing. Wow great projects .. thank you for sharing your ideas with us! Very nice cards! Thank you for the great ideas! Great cards. I especially like the birds and blossoms card. Love all your cards. So creative. love your camera pillow box. Amazing cards so creative and love your "camera" idea. Pac Man...is such a hoot, too. Kicking myself for not ordering your stamp set but definitely putting it on my wish list. All of your projects are so cute! I really like the camera pillow box. WOW is all I can say (smile)! What great cards you have come up with. Love the camera. And the bird one,and of course the pac man,lol. Thanks for sharing these great idea's. Such darling cards! I especially like your pillow box camera idea and the Pac-Man card! Ha Ha these are all total creative genius. First I was thinking camera I don't remember a camera like that then I realized you made it!!!! And PAC MAN, I hate to admit I am the age to definately remember that, Cool! What a cute idea.Really love the camera idea. My son who is handicapped would just love this. he loves cameras and can take some remarkable pictures. OH MY WORD! PAC MAN! WOW! Great cards. The box is my favorite of all these projects. Love your cards especially the diva idea. All your cards are so creative. I love them all, however, the Pac-man card really grabbed my attention....what a clever use of the ladybug stamp. Wow! This is the first time I've done this. Great ideas for the use of stamps and embellishments...thanks for sharing! Whoa, such cool combinations! I really love the camera pillow box, very cool! What great combinations of sets! Love all of your fun, colorful, cards. Thanks. Your camera is quite clever! All your cards are adorable. I must say, I am oohhing over your stamp set of big words! Sometimes, words just need to be big and make a statement! Love all the colors you chose--fun and cheery! Wow, I am in awe! I love the camera goodie box -- amazing! All of your cards are so inspiring and pretty. Thank you so much for sharing. WOWSER!!!! These are just so much fun and I LOVE the Pac-man one for sure! Great combinations! Love all these cards! I was a Pac-Man fanatic when I was young too, so especially like that card. Wow - busy girl! Super examples! Thanks for all those great examples. I love them all especially the skater diva! Awesome projects! Especially love your cool camera; and of course, the Pac-man card - played it when I was young! Great cards, I really love the Pac Man. Thank you so much for sharing. These are just stinkin adorable! All of your projects are just awesome. Great work and love pac man one of my favorite old time games. Such beautiful cards, love the camera and the Diva Friends Valentine, love how she is peeking through. Thank you so much for sharing your inspiration. I love the camara. WOW! How do you come up with so many fabulous ideas?! Each card is just fantastic. Love your inventiveness - I'm the type that if I don't see it, I can't imagine it. You have a great talent and thanks for sharing it. Wow amazing card but I really love the camera box what a creative idea...thanks for sharing it. Lol, love the PacMan look! The bird card is sweet too! These are all AMAZING! I love the camera! Eeeek, you're awesome! Oh my, what super cute cards and treat box. Great job mixing and matching. These cards are all so wonderful, so creative!! Great cards and box....Delightful collection! I'm crazy about hearts. In fact, Valentine's Day is our Anniversary. OHMYGOODNESS!! Your creative gears are in overdrive! But...but my favorite is the pac man!! OMG!! LOVE IT!! Gosh Darn! I love that skater diva card, oh so cute and thought out! Pac Man brings back so many old memories! These are all so well done. Thank you. Fantastic cards and I LOVE the camera goodie box! That's MOXIE FAB!